Bejewel your kitchen with gems! 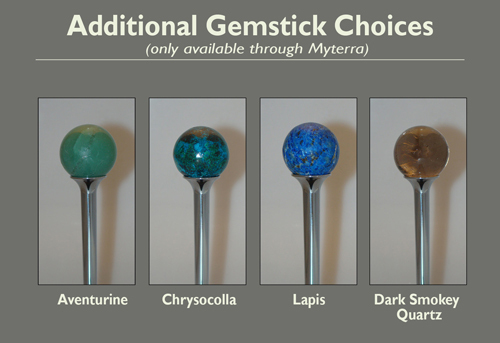 of "gemstick" choices . . .
​Gemstick is 5" tall, faucet head pull almost 24" from neck. Call or e-mail info@stonesetc.com with any questions.